It is a leafy and lumpy feed plant from the group of the breeders rapas rapa. It is a year-round feed plant. The feed turnip is cultivated from the beginning of August. The proportion of protein planted in the fall is a feed plant with high tubers and leaves. Dec. 250-300 gr feed turnip seed is planted. Feeder turnip has many farmers in the country. Seed depth is 1.5-2cm. Approximately 2 months after planting, the fertilized tuber and leaf yields. 7.5-15 tons of feed turnip from the decanter is harvested roughage. Animals are harvested and fed daily. A dairy cow is fed a maximum of 40 kg feed turnip per day. Raw fodder turnip comes faster than grass turnip. 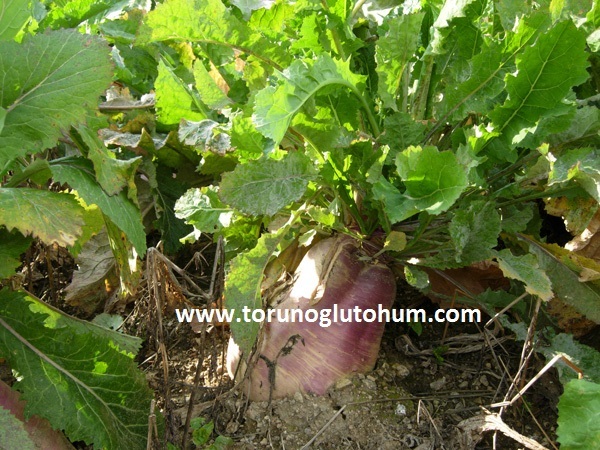 Animal turnip (lumpy), more nutrients from grassy turnip.